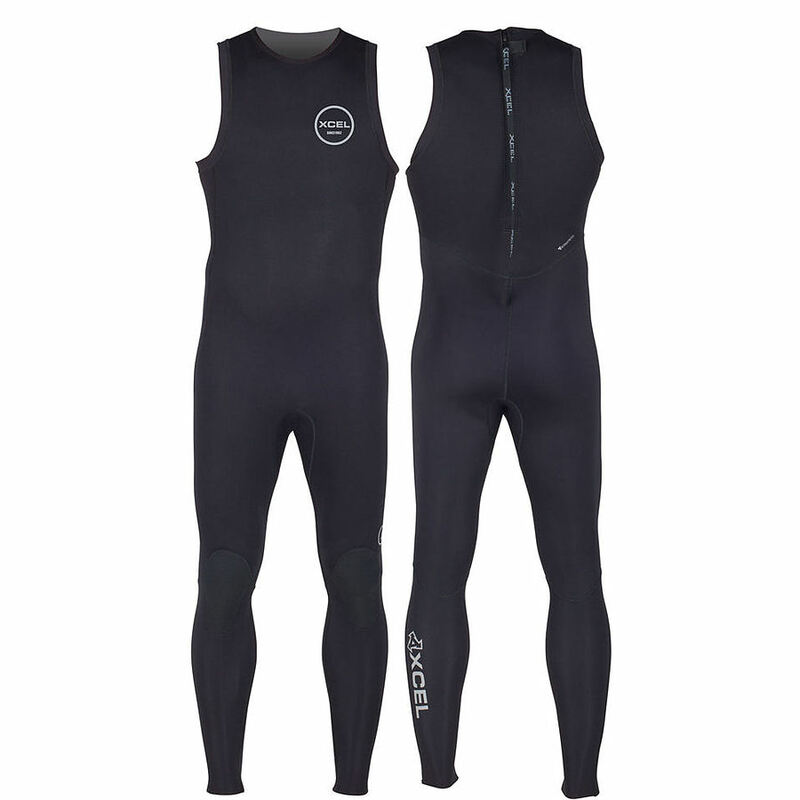 5	stars -	"Review for Xcel Mens 2mm Axis Long John Back Zip Black" Mark Taylor This Xcel Mens 2mm Axis Long John Back Zip Black is the best Wetsuits I have tried. Premium 100% UltraStretch neoprene with a short back zipper for easy on/off, and well designed armholes that feature inner SmoothSkin hem seals to eliminate charfing. Comfortable flatlock seams:durable, flexible Duraflex knee panels. Back Zipper: Traditional back zip for extra easy on/off. UItrastretch Neoprene: Comfortable lightweight, neoprene with softer foam and a tigher weave textile for less water absoprtion, better durability and maximum stretch. Flatlock Seams: Durabe, comfortable, 7 thread seam construction lies flate and smooth against your skin. Duraflex Knee Panels: Comfortable, durable knee panels that stretch with you.